The admission tests for these colleges, the JEE Advanced 2017 and JEE Mains 2017, respectively, are now about 4 months away. Engineering has long been the favoured career choice of Indian students. Every year, thousands of students from across the country prep to gain admission into the top engineering colleges of the country – the IITs and the NITs. The admission tests for these colleges, the JEE Advanced 2017 and JEE Mains 2017, respectively, are now about 4 months away. 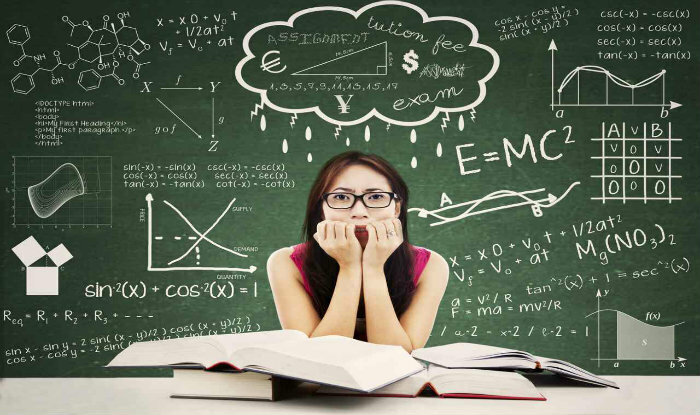 Though many students follow steps to ensure their best preparation, they discount the importance of managing stress. More so, as the news of another IIT JEE aspirant’s suicide in Kota surfaces, the question that many parents and aspirants have in mind is how to handle the stress. Kota off late has been in news for all the wrong reason. The hub of test preparation for IIT aspirants sees students from all over the country coming in. Off late, there has been a spurt in suicide cases from the city. Recently, a 16-year-old IIT aspirants from Muzaffarpur in Bihar committed suicide. The boy named Ashish Satyam went missing for three days and then his body was found from Chambal River. He was a Class XII student and before committing suicide he had emailed his suicide note to his friend on November 19 telling they will find his body near the Chambal River. In his suicide note, it was mentioned that he was unable to handle the pressure of studies and he also didn’t score well in the test. He was supposed to appear for the IIT next year. Study Routine: Plan your study routine, so that you can enough time to do other things. Practise a lot and ask your teacher for a practise test. Try to understand the notes given by your teacher and then try to write it down in your own words. This practise helps a lot in long term. Answer the questions with friends and grade each other’s work. Relaxation: Get enough sleep because mind stops working after continuous study. And relaxation is important. Popping bubble wrap is another stress reliever you can save for home study. Play with puppies, watch television, and listen to good music. The benefits of a proper night’s sleep can never be underestimated. Most importantly, sleep helps your brain to assimilate new knowledge into your long-term memory so that you can recall it when it comes to test day. Staying Healthy: Exercising and eating good food can help you remain healthy, so try to maintain that. Avoid eating junk food; it will actually make you feel better and lighter. Exercising or doing yoga is very important, it will keep your body fit. Meditation is also helpful for avoiding stress; it keeps your mind calm. Break Free: Yeah, you heard it right! Break free as in you can use mobile apps. Apps like some game apps, facebook, instagram, hike, etc. Chat with people, share your feelings. Even if you are at home try to interact a lot with your parents, siblings, etc. Talking and sharing your feelings with other can help a lot to manage stress. But one thing you should keep in mind that over- doing something is bad. So instead of wasting time on apps, one can use self control website blocker. Self Motivation: Last but not the least one should always motivate oneself. Just think that you are writing the exam and knowing the answers. And when you motivate yourself and try to imagine success, you are more likely to succeed.